Mirus Win Large MSP of the Year UK Award! We are overwhelmed and delighted to announce that we have won Large MSP of the Year 2014 UK and Ireland! 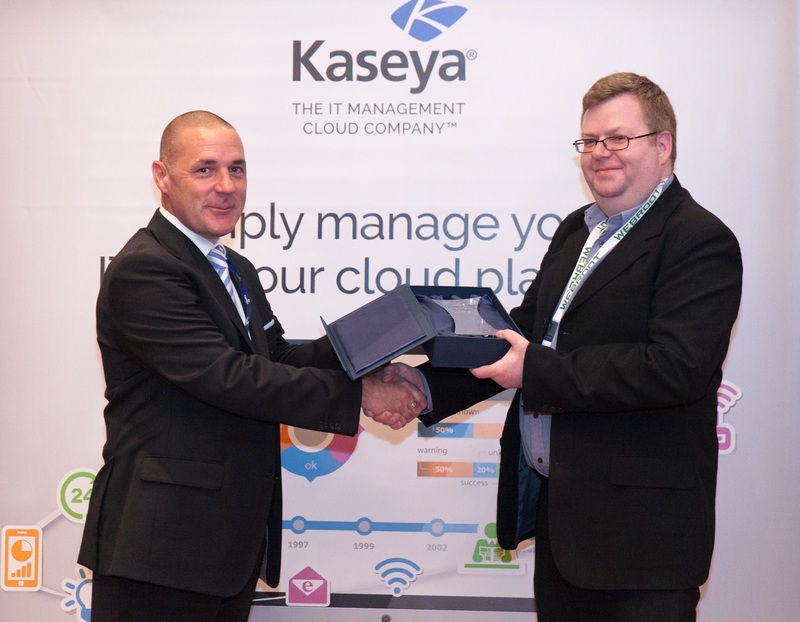 This prestigious Award was presented by Kaseya to Mat Smith our Development Manager at last weeks Kaseya User conference in London. We use the Kaseya product to it's full potential at Mirus, utilising all it's features and stepping out ahead of other UK MSP's. By using it as a virtual engineer we are saving hours of engineering time month on month by using the Kaseya product to automate our IT service delivery and therefore running a slicker service to our clients.